Home Business #TwitterIPO: How will Twitter make more money to justify its $10Billion valuation? User experience is big in Silicon Valley. In fact its an obsession, the core aim of most start-ups based out of the Valley. For most, user experience comes ahead of revenue, and thats not something that works so well for investors. Needless to say, the introduction of a whole host of new stakeholders, as well as the fundamentally different way that public companies are forced to operate in, will change the way that Twitter operate as an organisation. The CEO’s role changes measurably during and after an IPO, with new responsibilities in a much more forward facing, public way. We could talk all day about the difference between public and private companies, but for this piece, we want to focus more on how Twitter may change from our (as users) point of view. According to some prominent analysts, not much will change at all at Twitter after they go public. The rationale is simple; Twitter have a formula that is working well, and it wouldn’t make much sense to mess around with that. “Twitter will be most successful if nothing changes from its user experience,” Nate Elliott, VP and principal analyst at Forrester Research. The perceived notion in all of this is that Twitter are a naturally cautious company when it comes to rolling out new features. This caution is reassuring for Wall Street, where the culture is all about analysing, testing and then executing. Compare this to Facebook, whose leadership, inspired by their visionary founder Mark Zuckerberg, are much more brash and quick to execute. This is not to say that Facebook do not test thoroughly and plan well, instead its to say that Facebook are naturally more entrepreneurial. Perhaps it comes by the way of having one core founder and leader at Facebook verses a founding team at twitter. Maybe the latter meant that development was naturally more considered and iterative. Twitter also grew up slower as opposed to the rapid rise of Facebook – they both started at similar times yet Facebook went ‘big’ at least 4 years before Twitter. Maybe this also contributes to a culture of measurement based execution, where planning and insight drive innovation. Or maybe its simply a personality difference between the key folks behind Twitter and Facebook. Start-up companies are typically forged around their founder/s, and they often take on a personality that isn’t dissimilar to that of the founding team and their early hires. 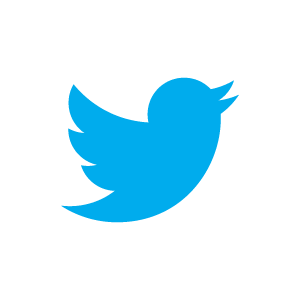 Twitter is valued at somewhere in the region of $10 billion, largely as a result of their 280 million user base. Their revenues are unknown, but the very fact that they’re doing a ‘private’ IPO illustrates that their revenues must be below $1 billion per annum. Legally, any company with revenues over $1 billion must IPO in a more public manner, with different rules attached. Twitter are thus capitalising on a law brought in to aid new companies in going public earlier, giving them the resources they need to become long term success, much like eBay, Amazon and Google from the first Silicon Valley wave. 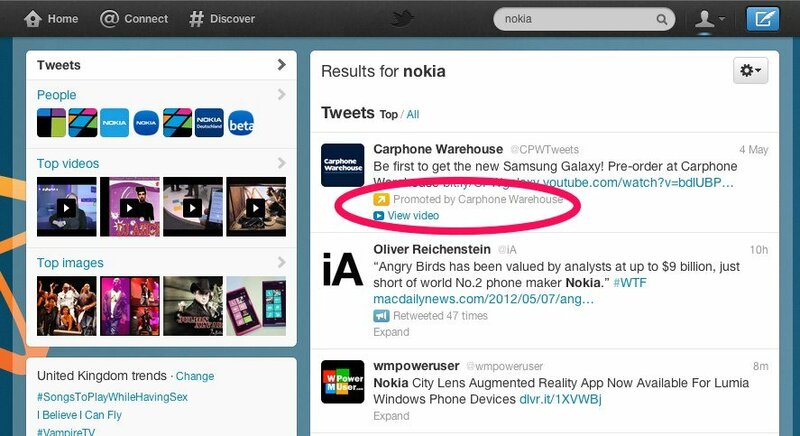 Twitter makes money from ‘Promoted Tweets’ and by allowing advertisers to sponsor the trending topics list. Some analysts put Twitters revenue at nearer the $500m mark. Its some stellar revenue for sure, but its hard to justify a 20x valuation. Even if they pull that off, the new stakeholders are going to demand that revenues start escalating – and they’ll demand that quickly. Ever since their IPO, we have seen Facebook experimenting more and more with adverts. They’re in the news at the moment because they’re trailing an ‘auto-playing video advert’ in the user feeds. Such advertising videos are considered disrupting and a poor user experience. Zuckerberg, who was outspoken in his anti-advertising stance in his early days, is highly unlikely to have pushed such a poor user experience revenue driver pre-IPO. It goes back to that Silicon Valley user experience obsession again. Zuck is firmly of that mindset. Look also at the sheer volume of news feeds ads at the moment, another poor user experience. On smaller screen devices, these ads take over the whole screen. Having tried to hide the ads down the side of the page – a move that delivered such poor ad performance that click through rates fell to below 0.05% – Zuckerberg was forced to look again at the Facebook ad problem. So will Twitter have the same problem? Its maybe not coincidental that they have been rolling out new ad solutions recently. Pre-IPO companies are always keen to maximise their revenue, and thus their value after all, and Twitter have been doing no shortage of that recently. All of that said, Twitter is already monetising through ads. They work closely with media buying agencies to help clients target specific TV programmes to extend their audience. Twitter after all is the ultimate embodiment of the ‘second screen’, where users hang out to discuss TV shows and live sport. A cursory glance at the sites trending list clearly illustrates the close relationship between Twitter and TV. Doubtlessly, Twitter will try and capitalise on this. Its the holy grail for online companies to eat into the massive TV ad budgets after all, and Twitter are much better placed than most. It will be interesting to see how the company works to grow this revenue stream over the coming months and years. Its also likely that they will put new vigour behind partnerships. A recent hire was the former president at Ticketmaster, and its been rumoured for sometime that Twitter have been looking at rolling out shopping into the newsfeed. E-Commerce would certainly fit with the companies native advertising strategy, especially if it was introduced in a form that fits the core user experience of the site. Whatever Twitter do and however the company changes post-IPO, expect their focus to stay on user experience and quality product releases.